Students can join the Horsemanship Program. The Horsemanship Program runs Tuesdays, Wednesdays and Thursday nights with a short break in the middle of winter. There are only four riders per lesson, each rider receives 15 minutes private tutoring then re-joins the group and continues to ride under the supervision of our group of knowledgeable and dedicated volunteers. The Equestrian Centre also hosts guest speakers and displays including horse dentists, farriers and horse acupuncturists. The South Australian Dressage Association (SADA) is now based at the Trinity Equestrian Centre. This is an exciting development as it permits us to compete at SASD with a College dressage team. 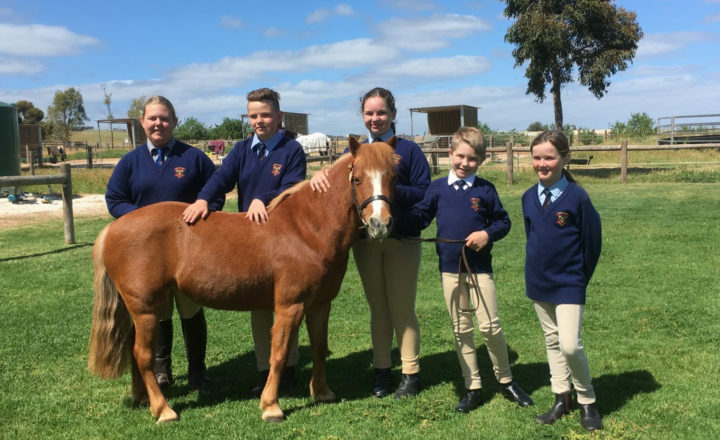 Trinity College is the first school in South Australia to have such a team in open competition.